Meguiar’s Cars & Caffeine returns to the Liqui-Moly Bathurst 12 Hour event, this January 31 – February 3. Cars & Caffeine, returning for its third consecutive year at the Liqui-Moly Bathurst 12 Hour, is a gathering of unique and interesting cars on display for all event spectators. 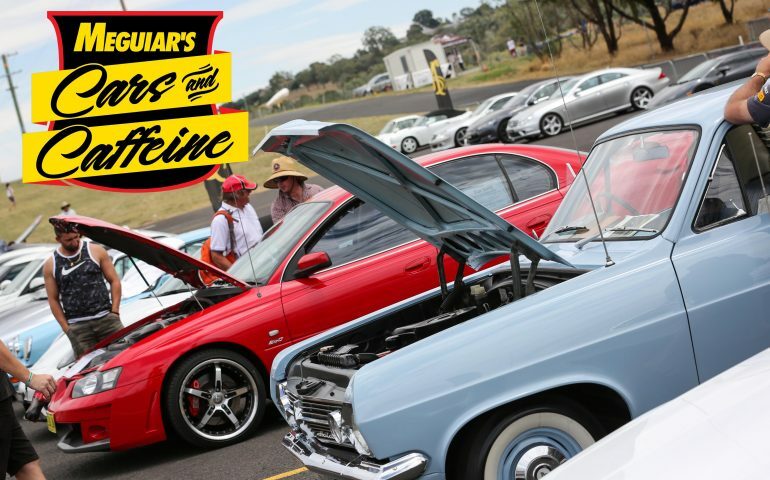 Located within Harris Park, the Cars & Caffeine compound will be open to all Bathurst 12 Hour ticket-holders across the weekend, with the main display on Saturday 2nd February. It’s also a sensational way for owners of unique motors to get more involved with the event by entering their car. 12-Hour fans will, along with enjoying a coffee and the sights of the display, be able to vote on their favourite car of the event. Following the Saturday C&C parade lap at midday, votes will be counted, and cars judged for the People’s Choice Award – the car deemed best of the pack. Meguiar’s Cars and Caffeine’s Luke O’Neill said he was looking forward to the concept growing in it’s third year on the Mountain. “We’re back for our third year of Meguiar’s Cars and Caffeine at the Liqui-Moly Bathurst 12 Hour and we can’t wait” he said. Single entry to the Meguiar’s C&C start at $119 and include a three-day ticket to the event and VIP Parking, while other options – including access to a catered and air-conditioned suite – are available. Potential entrants are encouraged to contact Luke by clicking here.